was discovered by James Dunlop in 1826, and is a face-on spiral galaxy located at 12,700,000 light-years from Earth. 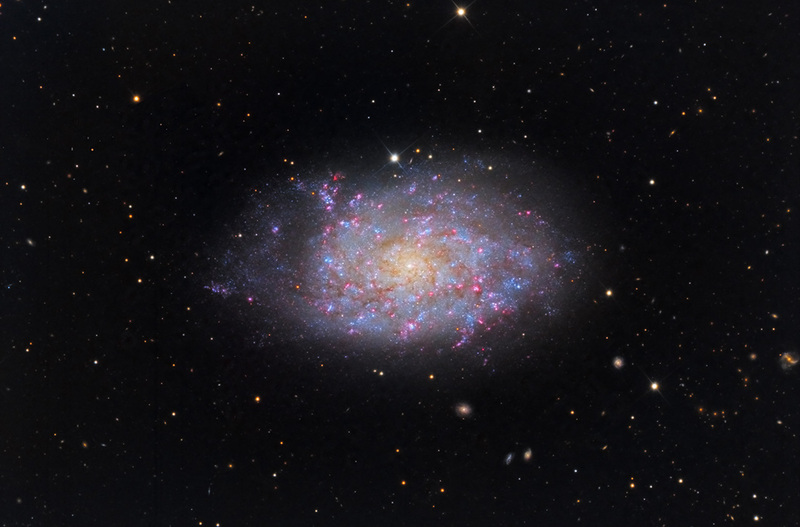 NGC 7793 is one of the brighter members of the Sculptor Group and is a neighbor of NGC 253. Have fun counting the dozens of small galaxies in the field! This data was acquired by SSRO.